Dr. Coleman graduated from the University of Vermont with a B.A. in mathematics, and then graduated from Yale University School of Medicine in 1970. He completed his internship and residency in internal medicine at the University of California, San Francisco, medical oncology at the National Cancer Institute (NCI) and radiation oncology at Stanford. Board certified in these three specialties, Dr. Coleman was a tenured faculty member at the Stanford University School of Medicine before joining Harvard Medical School in 1985 as Fuller-American Cancer Society Professor and Chairman, Joint Center for Radiation Therapy. In 1999, he returned to the NCI as director of the new Radiation Oncology Sciences Program that he created to coordinate all radiation oncology activities. 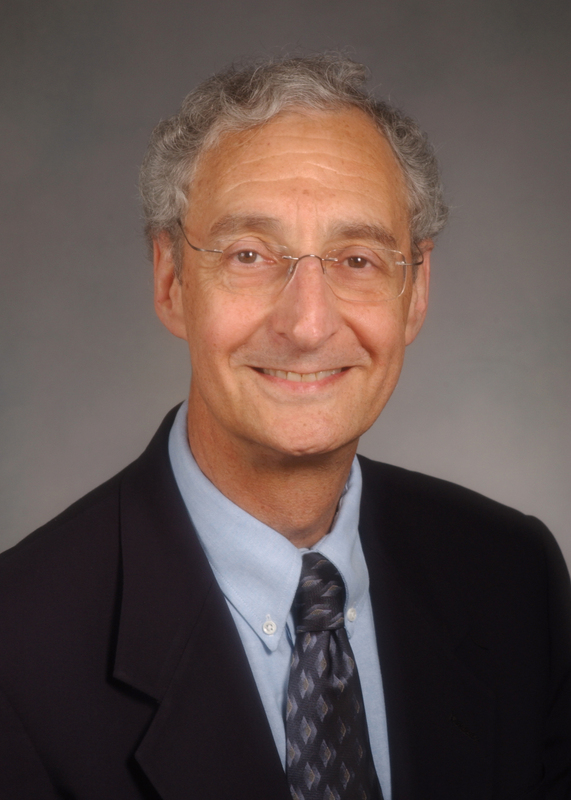 He served as chief of the Radiation Oncology Branch from 1999- 2004 and is now an adjunct member of ROB in the Center for Cancer Research where he has his laboratory currently focusing on radiation-induced molecular targets. He serves the NCI as associate director of the Radiation Research Program in the Division of Cancer Treatment and Diagnosis. Since 2004 he has also been Senior Medical Advisor and medical chief of the CBRNE (Chemical, Biological Radiological, Nuclear and Explosive) Team in the Office of Emergency Management, Office of the Assistant Secretary for Preparedness and Response (ASPR), Department of Health and Human Services. He has written extensively in the fields of radiation modifiers, molecular radiation oncology and, more recently, on health and medical preparedness and planning for radiological or nuclear emergencies, and global health. He is Senior Scientific Advisor to the International Cancer Expert Corps (ICEC), a non-government organization focusing on global disparities in cancer care. He is a Fellow of the American Society of Radiation Oncology (FASTRO), American Society of Clinical Oncology (FASCO), American College of Radiology (FACR) and American College of Physicians (FACP). Among his awards are the Gold Medal from ASTRO in 2006, the Partnership for Public Service, Samuel J. Heyman Service to America Homeland Security Medal in 2011 and Doctor of Science (h.c.) from the University of Vermont in 2015. The Failla Award was established in 1962-1963 to honor the late Gioacchino Failla, one of the founding fathers of the Radiation Research Society and its second president. The award is given annually to an outstanding member of the radiation research community in recognition of a history of significant contributions to radiation research. Each year the RRS President presents the awardee with an engraved medallion and cash award. Buonanno received her B.S. in Physics from the University of Naples ‘’Federico II’’ in Italy where she studied murine cell survival after low fluences of accelerated lithium ions. She was then granted a scholarship from the University of Medicine and Dentistry of New Jersey to pursue her Ph. D. studies under the mentorship of Prof. Edouard Azzam. The research she conducted was a NASA-funded study on the role of quality (i.e. linear energy transfer, LET) and dose of radiation in the induction of non-targeted effects in mammalian cells; in particular, she investigated the contribution of radiation-induced oxidative stress and cell-to-cell communication in the persistence of these effects in the progeny of irradiated and bystander cells. In 2011, she joined the Columbia University Radiation Research Accelerator Facility (RARAF) as Postdoctoral Research Scientist under the mentorship of Prof. David Brenner. At RARAF, her research focuses on biological effects induced by microbeam radiation in small animal models. With the support of a microfluidic device for high throughput irradiation, she investigated DNA damage induced by site-specific irradiation in Caenorhabditis elegans nematode. Furthermore, using a mouse ear model, she has investigated radiation-induced bystander effects in regions of the ear that were non-targeted by radiation. Another strong research interest that she has at Columbia University aims at characterizing the efficacy in vitro and in vivo of far-UVC light for anti-microbial applications, including prevention of surgical site infections and viral transmission. The Jack Fowler Award is provided by the University of Wisconsin to honor the achievements of Professor Jack Fowler. The award recognizes an outstanding junior investigator for exceptional work in radiation oncology, medical physics, and/or radiobiology. A candidate must be an outstanding junior investigator who has performed exceptional work in radiation oncology, medical physics, and/or radiobiology. Nominations for the Jack Fowler Award must include the candidate’s curriculum vitae, a nomination letter, and no more than two supporting letters. Dr. Koritzinsky is a Scientist at the Princess Margaret Cancer Centre in Toronto and Assistant Professor at the Department of Radiation Oncology and Institute of Medical Science, University of Toronto. She holds a Master of Science (MSc) degree from the Norwegian University of Science and Technology (1996) and a PhD degree from the University of Oslo (2003). She completed postdoctoral training at Maastricht University in The Netherlands before moving to Canada in 2008. There she was appointed to faculty of the University of Toronto, and Scientific Associate at the Princess Margaret Cancer Centre, before being promoted to Scientist in 2014. Tumor hypoxia confers poor patient prognosis due to resistance to radiation and chemotherapy, and stimulation of a more aggressive phenotype. The aim of Dr. Koritzinsky’s research program is to increase our understanding of molecular and cellular responses to hypoxia, with the ultimate goal of targeting these responses to improve cancer treatment efficacy, mitigate cancer aggressiveness and improve patient outcomes. Research is focused on determining how cancer cells adapt metabolism and secretion capacity in hypoxia, and therapeutic strategies to reprogram tumor metabolism in order to increase response to radiation are being investigated. 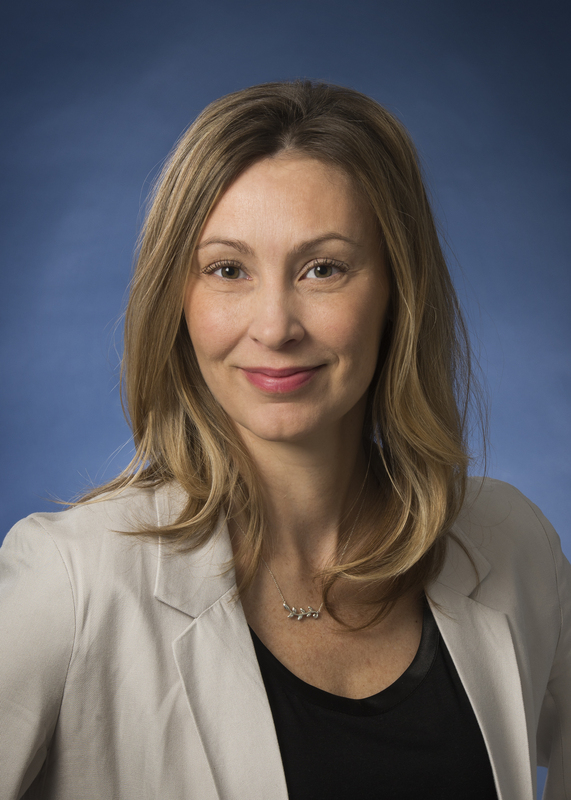 Dr. Koritzinsky is a recipient of the ESTRO-Juliana Denekamp research award and a Terry Fox Research Institute New Investigator award. The intent is to recognize an individual early in his/her career, but not defined by any specific age. In keeping with the intent of the award, early in career is typically considered to be within 10 years of completion of training (e.g., post-doc, residency, fellowship). A candidate is not required to be a member of the Society, but the work upon which the nomination is based must be in one or more of the areas of radiation research. Dr. Dewhirst is the Gustavo S. Montana Professor of Radiation Oncology, Vice Director of Basic Science within the Duke Cancer Institute and Associate Dean for Faculty Mentoring in the Duke School of Medicine. He has research interests in tumor hypoxia, angiogenesis, hyperthermia and drug transport. He has published well over 500 peer reviewed papers which have garnered more than 27,000 citations and an H-index of 84. He has been funded by the NCI for his work on these subjects for over 30 years. But his real passion is in mentoring. He has used the grant funding to nurture careers of many young scientists. He has mentored 20 medical students (8 Howard Hughes Fellows), 24 graduate students (11DOD and 2 F-grant funded pre-doctoral fellows), 19 postdoctoral fellows (3 NIH or DOD postdoctoral fellows; 2 K99 recipients) and 15 clinical fellows (3 K-grant recipients), residents and junior faculty members. His prior trainees have gone on to have successful careers in academics, industry and the NIH. In his role as Associate Dean for Faculty Mentoring, his primary mission is to train young scientists from the Research Fellow to Full Professor, to be better grant writers and to mentor young scientists in the skills to enable them to become successful scientists. He successfully initiated the Path to Independence Program in the fall of 2011 and a K-club in 2012. Nearly 300 junior faculty members from Duke have gone through these programs. The success rates for R and K grantees, who have gone through the program, are double the NIH average. In the summer of 2017, he will transition his effort from being a laboratory PI to the Dean’s office. Dr. Dewhirst wishes to thank Drs. Mary Keara Boss and Kathleen Ashcraft, who nominated him for this prestigious award. He also thanks all of his prior trainees from whom he learned as much or more than he taught. The award is bestowed each year by the Scholar-in-Training Committee. It honors an individual who has provided exceptional mentoring to a Scholar-in-Training member in both their professional and personal aspirations. Alexandre Detappe is a certified French medical physicist (PSRPM) who earned his MSc in medical physics at the University of Grenoble, France in 2013. 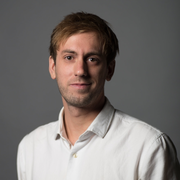 Alexandre is currently pursuing a PhD in nanomedicine at the University of Lyon, France under the supervision of Prof. Olivier Tillement in collaboration with Dr. Ross Berbeco’s team in the department of radiation oncology of the Dana-Farber Cancer Institute/Brigham and Women’s Hospital/Harvard Medical School where he is performing his research. Alexandre’s research backbone is the development of a theranostic nanoparticle, AGuIX, designed for MRI-guided radiation therapy for different cancer treatments, such as pancreatic adenocarcinoma. This innovative approach combines biotechnology and radiation therapy, and set path to an upcoming clinical trial to evaluate the benefits of AGuIX. The Marie Curie Award was established to recognize the Scholars-in-Training travel award applicant showing the highest potential for a successful career in radiation research. The recipient is then invited to speak at the annual meeting. Your scientific presentation is scheduled for Monday October 17, 2016 at 6:00pm. Marjan Boerma received her Ph.D. degree from the University of Leiden, the Netherlands, where she used animal and cell culture models to investigate biological mechanisms of radiation-induced heart disease, a long-term side effect of radiation therapy of intrathoracic and chest wall tumors. 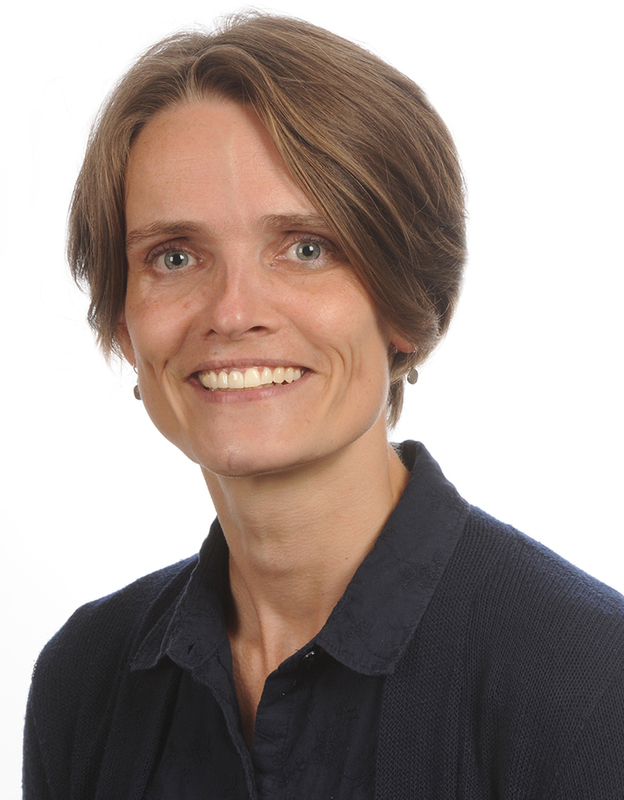 After a postdoctoral fellowship in the laboratory of Martin Hauer-Jensen at the University of Arkansas for Medical Sciences, she obtained a faculty position in the College of Pharmacy at the same institution, and she is currently an Associate Professor in the College of Pharmacy Division of Radiation Health, continuing her research on cardiovascular effects of ionizing radiation. Her lab aims to identify biological mechanisms of and potential interventions in cardiac radiation toxicity. In addition, together with investigators of Loma Linda University, the University of Arizona, and Georgetown University she formed the Center for Space Radiation Research that is funded by the National Space Biomedical Research Institute and investigates acute effects and cardiovascular disease risks from exposure to space radiation. The J.W. Osborne Award honors an RRS member who has contributed significantly to the understanding of normal tissue radiation responses. The recipient of the “Osborne Award” should ideally be a mid-career scientist and a member of the RRS in good standing. Candidates for the Osborne Award are nominated by the membership of the Society, and the selection will be made by the Awards and Honors Committee. Nominations should consist of a nomination letter, the candidate’s curriculum vitae, and no more than two supporting letters. Eliedonna Cacao received her B.S. in chemical engineering from the University of the Philippines Los Banos (UPLB, Philippines) and earned both her M.S. and Ph.D. from the Department of Chemical and Biomolecular Engineering at the University of Houston (UH, Texas). Her primary research interest is the integration of chemistry, physics and engineering and their application in biomedical sciences, particularly in neuroscience, oncology and nanobiotechnology. Her research training and experience have been multi-disciplinary. Under the supervision of Dr. Richard C. Willson (Department of Chemical and Biomolecular Engineering) and Dr. Paul Ruchhoeft (Department of Electrical and Computer Engineering) at the University of Houston, she was involved in the development of a rapid and portable biosensor where she acquired thorough experience in nanoparticle and surface chemistry, biochemistry, assay development and image analysis. She did her first postdoctoral training with Dr. Tijana Talisman at the University of Hawaii at Manoa (Department of Chemistry) and at City of Hope National Medical Center (Department of Molecular Medicine), where she studied biophysical properties of fluorescent molecules used in super resolution microscopy and implemented quantitative interpretation of protein distribution and dynamics by correlation analysis. Her current postdoctoral training at the University of Nevada Las Vegas (Department of Health Physics and Diagnostic Sciences), under the mentorship of Dr. Francis A. Cucinotta, involves extensive statistical analysis and mathematical modeling of biological systems. More specifically, she investigates the biological effects of ionizing radiation, such as impaired neurogenesis, DNA damage repair response, tumor induction and cancer risks. This research benefits cancer patients treated with radiation or workers occupationally exposed to radiation. The RRS Editors' Award honors an Scholar-in-Training member of RRS who has contributed significantly to the Radiation Research Journal in 2015.